Whether you’re planning to spend decades in your home or hoping to move in the near future, it’s always wise to consider the best home improvements for resale. Traditionally, new siding, decks and bathroom remodels have been among the best upgrades to add value to a home. In today’s energy-conscious world, you can add energy-efficient home upgrades to this list. Just how much can energy-efficient upgrades increase your property value? According to the US Green Building Council, upgraded homes in Texas sell for an average of 8 percent more than less-efficient homes, and Remodeling Magazine’s Cost vs Value Report shows that energy-efficient home upgrades are some of the best home improvements you can make for resale. Efficiency-labeled homes also are showing an increase in popularity and preference for new homebuyers, and are improving in visibility across housing markets. If you’re wondering how to increase home value for appraisal, then improving the energy-efficiency of your home is an option that creates benefits for both current and future homeowners. According to the Building Codes Assistance Project, homebuyers want energy-efficient homes, and the Appraisal Institute even offers home-sellers a comprehensive list of designated appraisers who specialize in the valuation of sustainable residential buildings. 1. Save with energy-efficient upgrades to your kitchen appliances. Kitchen renovations have long been the solution for people wondering how to increase home value for appraisal, with even minor kitchen improvements yielding a resale return on investment of nearly 80 percent of the renovation costs. Installing energy-efficient appliances may be expensive, but the energy savings they offer pay for any additional up-front costs while improving your home’s resale value. And don’t forget the visual appeal of new appliances: a new oven or refrigerator gives your kitchen a modern look prospective home buyers find appealing. 2. Install solar panels on your home to take advantage of the sun’s energy. When you have access to federal, state and local tax credits, installing solar panels is one of the more affordable large-scale energy-efficient upgrades for your home. Solar power offsets a home’s reliance on the electrical grid, making solar panels one of the best home improvements for resale—and buyers who might not want to install solar power themselves are attracted to homes where the work is already done. When considering home solar panel installation, be sure to consult with a professional to determine the best location to install photovoltaic panels on your home. While solar panels are one of the best home improvements for resale, keep in mind that the location might impact the appearance of your house. 3. Light up your space with smart and energy-efficient lighting. Although often overlooked as a value-added feature, energy-efficient lighting can increase energy savings and by extension, home value. Home buyers appreciate LED light benefits and pay attention to little details in the house, including whether you’ve installed the best light switches and motion sensors. You don’t need to replace every light fixture in the home: replacing the five most frequently used fixtures with ENERGY STAR–rated models could save you $75 a year on electricity and will be the fixtures most noticeable to potential buyers. 4. Invest in new windows to let in natural light and improve energy efficiency. Retrofitting windows can transform a room by adding more natural light, but choose which windows to replace with care as window replacement is expensive. Only replace windows if a room needs more light or if the existing window provides poor insulation. If you choose to replace windows, invest in the most energy-efficient windows possible to help offset installation costs. 5. Change your doors and repair old weather stripping to prevent air leaks. Replacing a home’s exterior door can be one of the simplest upgrades to add value to a home. A new door gives your home a quick facelift, improving the curb appeal of your residence. With cost factored in, efficient weatherstripping can be one of the best home improvements to increase the energy-efficiency value of your door. When replacing an old door with a new model, look for the National Fenestration Rating’s Council’s label, which reveals how well the door acts as an insulator. To improve security, why not consider installing smart locks and video doorbells? 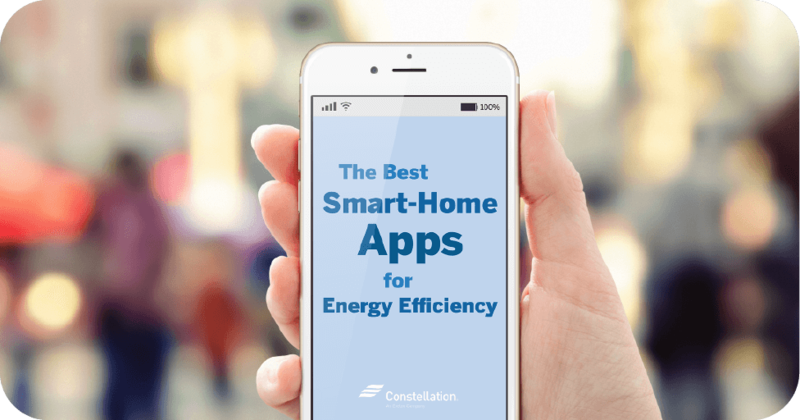 Smart technology is already one of the best ways to improve your home’s resale value, and emphasizing the modern nature of the dwelling. Pro tip: before installing a new door, learn how to find air leaks in your home and how to seal a door properly. 6. Update your home’s curb appeal with outdoor solar lighting and security cameras. A home buyer’s first impression is of the outside of your home, so if that doesn’t wow them, convincing them of the merits of the home’s interior becomes a tough sell. Solar lighting for outdoors can be used to highlight paths and landscaping while adding security around doors and darker areas of your yard. Smart garage doors and other outdoor home security automation reinforce a potential home buyer’s view of your house as a safe, secure location. 7. Improve wall insulation to optimize the temperature of the house. Your home’s visual characteristics are what catch a buyer’s eye, but a savvy buyer pays attention to your appraisal report as well. Properly insulated walls improve a home’s ability to heat and cool, and are one of the best upgrades to add value to your home. 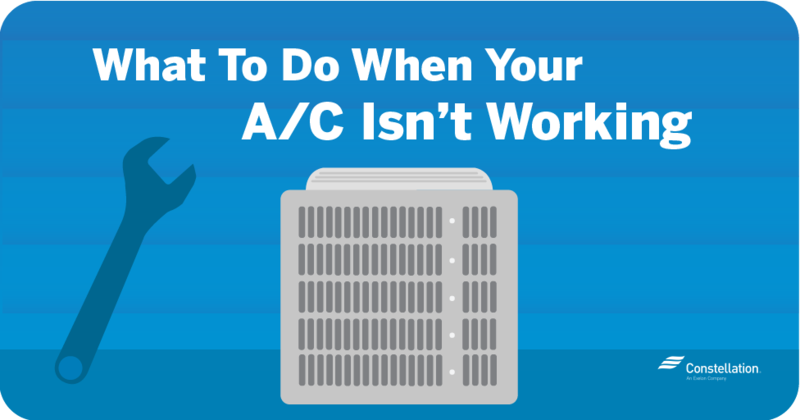 The improved insulation may also save energy due to the decreased demand on your heating and cooling systems. 8. Upgrade your attic to better insulate your home and stay comfortable. While we’re on the subject of insulation, if you make your attic more energy efficient, you’ll impress home buyers with how much they’ll save on heating and cooling costs. A fairly easy home project, attic insulation is one of the best home improvements to increase value. To maximize your attic installation cost savings, you need to choose the proper insulation for your home type and local climate. 9. Choose energy-efficient roofing to save on heating and cooling costs. No one wants to buy a home with a roof that needs to be replaced! By choosing energy-efficient roofing, you can help keep your home cool during the summer and warm in the winter. 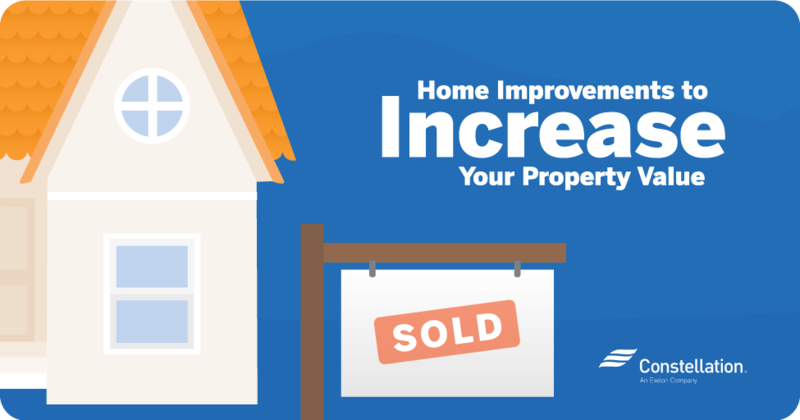 You’ll live in a more comfortable home, your energy bill will drop, and when the time comes to sell, homebuyers will be impressed –– making a new roof one of the best home improvements for resale you can possibly make. 10. Insulate your basement to prevent heat loss in cool weather. Imagine you’re looking at a potential home. The residence has great curb appeal, a good roof, and well-insulated doors and windows. Then you check the basement, only to discover bare concrete and poorly insulated walls. Suddenly the home doesn’t look as appealing. Insulating a basement helps you control your heating and cooling bills. A finished basement also adds home value—few homeowners want to tackle the challenge of finishing a basement after buying a house. 11. Check your furnace or boiler to make sure it’s up to date. How old is your furnace or boiler? Older models are less energy efficient and often require expensive repairs, and poor performance can affect home inspections If you’re wondering how to increase home value for appraisal, it may be time to update your furnace. By switching to a newer model, you’ll save on your energy use, improve your heating efficiency, and give prospective homebuyers one less project to worry about. Pro tip: learn about the benefits of a furnace vs. boiler before retiring your older heating system. 12. Clean your home’s air ducts to improve air quality and wellness. Regular air duct cleaning improves air quality while reducing exposure to allergens. If you’re putting your home on the market, testing and sealing your ducts adds value to your home and is even required by certain states. Not only will learning how to clean your air ducts help when you’re selling a home—you’ll also enjoy cleaner air. 13. Update your water heater to a new and energy-efficient model. Toward the end of their working life span, water heaters begin to lose their efficiency. Corrosion and mineral buildup inside the tank mean the appliance must work harder to produce the same amount of heat, resulting in higher energy expenditure. 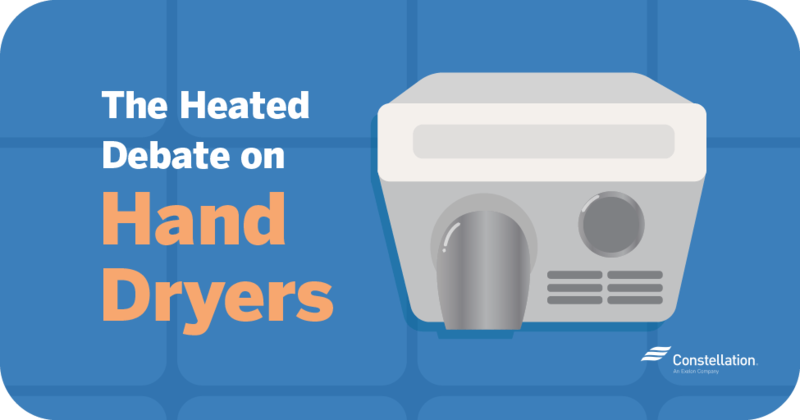 Replacing your old heater with an energy-efficient water heater can also increase your home’s appraisal value, so it’s important to provide proper documentation during real estate transactions. Pro tip: if you decide to replace your water heater, check out how to choose between a tankless vs. traditional water heater for your home. Bonus: don’t forget about your yard! We’ve discussed the importance of curb appeal but not how your landscape can improve your home’s value by affecting energy efficiency. For instance, mulching flower-beds and planting drought-resistant plants are only some examples of how energy-efficient landscaping can help your home save water. Additionally, properly positioned tall shade trees help keep your home cool during hot weather by blocking sunlight and reducing air-conditioning costs, and have been shown to have a positive economic influence on home sale price. According to the Arbor Day Foundation, previous studies have shown that homes increased in value by 3 to 5 percent if they had trees in their front yard, and that houses with trees are preferred over houses without trees. Pro tip: to keep your home protected and safe, outdoor automatic lights and security cameras add extra value to your home, allowing homeowners to control lights and cameras with their smartphones. When it comes to homes, the best improvements for resale are the ones that benefit you before you sell. Who knows? After you’ve finished adding energy-efficient home upgrades, you may decide your home is too perfect to sell—at least not for many years! Very artistic way of using infographics to include in a very informative article. Well done! Thanks for the kind words and checking out our blog!